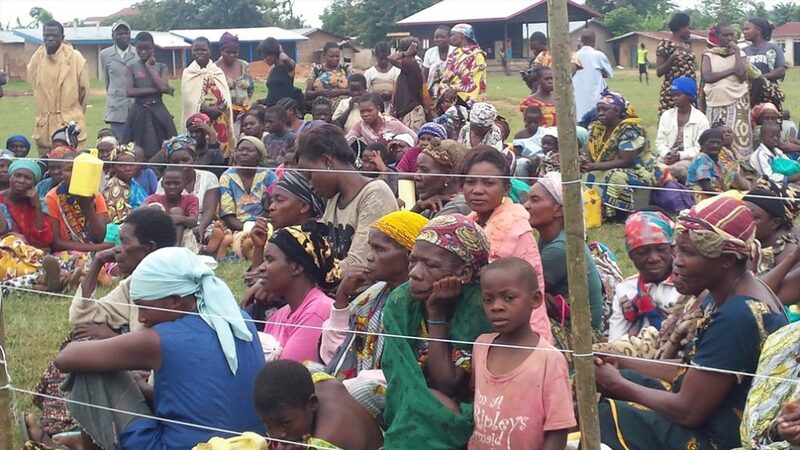 After a period of relative calm, violence has resumed in eastern DRC. Various attacks by armed groups, including the radical Islamic group Muslim Defense International (MDI), formerly known as the Allied Democratic Forces, have claimed dozens lives among civilians in September and October. In one recent attack on 26 October, suspected MDI militants stormed the Masiani neighbourhood of Beni. Local sources say the militants were hiding in the neighbourhood, waiting for nightfall to attack the local population, but that a soldier discovered them and immediately alerted security forces. The rebels then immediately burst into action and attacked the city. Clashes with the military led to at least six deaths (one soldier, five civilians). A foreign missionary in the area described a chaotic situation, which caused fear among residents: “When we arrived we could not get into our neighbourhood. It was a real battlefield. Bombs, gunfire and people running. Large calibre shells are everywhere. A thousand or so people fled the area towards Beni,” he said. In the early hours of Friday 27 October, unidentified gunmen also attacked the Nyankunde Evangelical hospital in Beni, situated on the Beni-Butembo road. Local sources say the attackers woke up the director of the hospital at about 1am, and forced him to lie down on the floor. They told him to give them all the money he kept with him. Other medical personnel were also ordered to lie on the floor. The assailants looted money, some medicine and about 40 mobile phones belonging to the patients, carers and nurses. They also beat up some of the nurses and patients at the hospital and left just before security forces arrived. Earlier in October dozens were killed, including two UN peacekeepers, following raids attributed to MDI militants and clashes with the army backed up by UN troops. Some 11 civilians were killed when a convoy was ambushed between Kamango and Beni on the evening of Saturday 7 October. Most of the victims had their throats slit with machetes. More than 20 others were kidnapped, and their decomposed bodies were found a week later and buried on 15 October. Violence in the volatile province of North Kivu claimed more than 1,000 lives between October 2014 and May 2016, according to local NGOs. The Congolese government has always attributed responsibility for such attacks to MDI militants. But a recent report by the Congo Research Group, an independent group linked with New York University, cast doubt on that assessment. 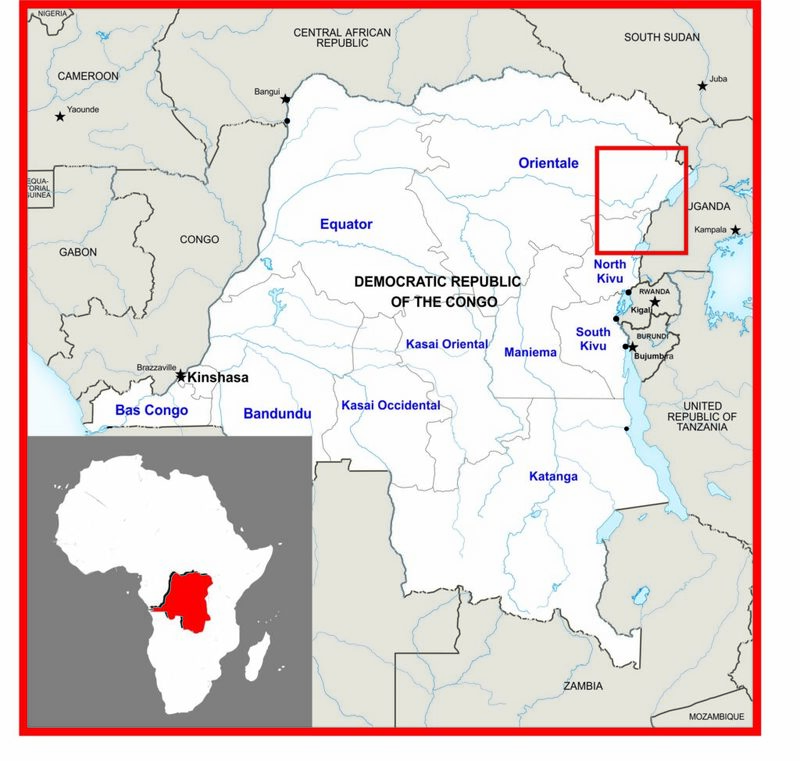 The report, ‘Mass Killings in Beni Territory: Political Violence, Cover Ups, and Cooptation’, attributes some of the blame to the Congolese army, specifically naming one commanding officer, General Muhindo Akili Mundos. The recent upsurge of violence coincides with social unrest as protesters demand the departure of President Joseph Kabila, whose constitutional mandate expired in December 2016. On Monday (30 October), some activists, members of LUCHA (Lutte pour le changement /Struggle for change), marched in the streets of Goma, the North Kivu provincial capital, chanting, in French, “Joseph Kabila must go because his mandate has ended”. At least five people were killed in clashes between protesters and security forces, although some sources report as many as 30 deaths. DRC has been in political turmoil since December 2016, when President Kabila’s second and last mandate expired without fresh elections. The San Silvestro Agreement, mediated by Catholic Bishops, on 31 December provided for the establishment of a national unity government aimed at leading the country to new elections by 2017. But analysts now say it is impossible to meet the deadline as the national elections body, the CENI (Commission Electorale Nationale Independante), said elections can only be held 504 days after the end of voter registration. Some have accused the government of masterminding the violence in the east of the country and the central province of Kasai, with the aim of creating a climate of instability which will serve as a pretext for President Kabila to stay in power.